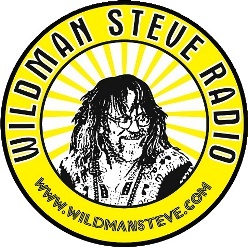 Wildman Steve grew up in Michigan and Pennsylvania playing drums, migrating to West Virginia fresh out of High School, where he learned to play the washboard. It was at this moment he realized music was what his life was all about. He formed a band and moved to Georgia, which, in 1975, was The Promised Land for "southern rock." After five years in various Spinal-Tap-like bands, he went to U. of Florida to earn his degree in Music Composition. Then it was back on the road for more exciting adventures. When he became fed up with the image-driven industry in 1987, he decided to open Wildman Steve's Records in Auburn AL. Instantly successful, he remained so until the record industry changed dramatically and he closed the store in 2001. At this time, he entered the world of radio at WQNR-FM. 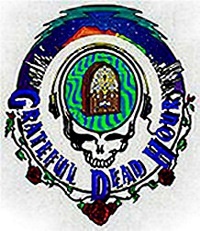 By 2003, he had become Program Director and was given the freedom to program a unique blend of quality music. 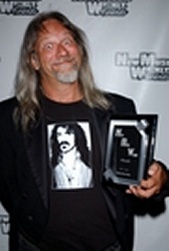 This unique programming has brought the acclaim of music lovers everywhere and was awarded Station of the Year by New Music Weekly four years in a row (2004, '05, '06 & '07), and by the Homegrown Music Network in 2007. In addition he was named Program Director of the Year in 2007 by New Music Weekly. More recently, he was named "Jamcaster of the Year" by the Homegrown Music Network for 2011. He continues to play the washboard as part of the Bibb City Ramblers, and sitting in with such bands as moe., Col. Bruce Hampton, Rollin' In The Hay, and many others. Become Wildman's friend on Facebook!